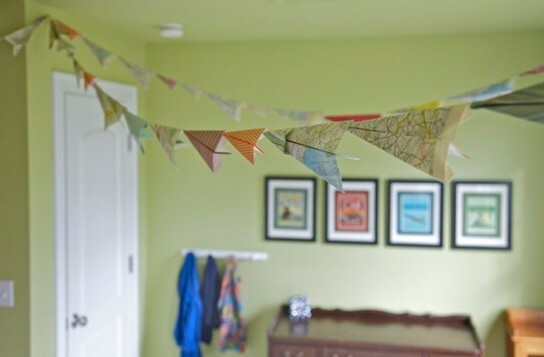 Thread paper airplanes to make a bunting banner out of them! Learn more about this idea on the source. See a tutorial on how to fold paper to make paper airplanes. See this idea using maps as the paper. See this idea using airplane-shaped cutouts.